The BOEING 747 is in the world and the AIRBUS A380 is on the way and with the coming of a new era in the next generation of next great aircraft of the next century MoTIS lead designer O WATSON has done it again with the long awaited and heavy labored G-27 for short!! This aircraft have been on the design books and has seen several changes in it airframe over the past few years and MR. WATSON has continued to improve the design until the decision was reached to make the current design specs stand for the moment and to get this air TITAN as she is so appropriately named into the skies! This aircraft is only the first of 10 neo concept airliner aircraft coin by MoTIS engineers as the Cargo Commanders and this fleet of next generation aircraft are all tremendous in scope and design to say the least! Many CAD design programs have been used to standardize what would be need to get the correct airframe shape and the G -27, GIGANTOR or LORD TITAN , what ever you chose to call her is one of the first if not only MoTIS design aircraft that has been in the planning, staging, reworking , and final compliance mode for over three years and a few months to the date!!! Designing a complete aircraft from scratch requires tremendous planning, continual changes to fit the super objective for what the aircraft was designed to be, and the patients of JOB so say the least. MoTIS prides itself in the total design of each and every one of the great neo concepts that are previewed at our website and the G-27 gives us the most pride of all as this aircraft was designed primarily as a cargo airliner, we have recently seen the need to create the passenger variant called the MMC PA 227LX, and the MMC MT 227 LM! The G-27 PM as it will be called is the Passenger Airliner version of the GIGANTOR family and theG-27 LM or Lift Master will be the military variant. The first flight for the GIGANTOR is to take place on MAY 7 the 2004 at the MoTIS X ROW design factory and the event will start the MoTIS real time flight data gathering missions conducted by our test pilots. As the specs for the G 27 are still in the classified section until all relevant test and beta test are conducted the MoTIS GIGANTOR is rumored to have a true aerodynamics calculated take off weight of 905, 525 lbs!!!!!!!!!!!!!!! Welcome to the first flight of the MoTIS G-27 GIGANTOR!. My name is Linda and I am the new MoTIS spokes woman and virtual test pilot and I will be piloting the GIGANTOR on Friday so lets hope we get her into the air! This aircraft here is a huge deal to us, as it launches us on the point of no return as we have a great host of next generation neo concept cargo aircraft and airliners that we will be bringing to the world! GEAR UP, FLAPS DOWN-THAT'S OUR MOTTO! The GIGANTOR will take to the skis in just a few short days and team MoTIS is working out the bugs behind the scenes! Why create a mammoth aircraft like the GIGANTOR? Well the answer is simple. Good old American know how and a desire to continue to make progress in the quest for the mega plane. The AIRBUS A380 is going to be a huge aircraft and the next generation in transport markets may just be in mega mass transport aircraft, and the design engineers at MoTIS have a few tricks up our sleeves as to what will be the next great mega aircraft of the future..
O WATSON takes real world design goals in areas of mega transport and ultra efficiency air carriers and puts a virtual/real world design spin on creating never before seen neo concept aircraft that can and may some day exist along side of what's the hot stuff in the area of real world design. MoTIS engineers also strive to create utter complexity designs staying away from the most simple designs and adding hard contours and difficult shapes to achieve in our CAD programs and this not only makes us better designers but helps us to master the total design environment also. "If its easy we wont do it if its a challenge than we wont ignore it!" WE WILL MAKE IT BETTER AND BETTER EACH TIME !! IMPORTANT DESIGN AND TESTING NOTICE: THE GIGANTOR IS TESTING FORWARDS WING DEVELOPMENT AND ITS EFFECTS ON CONTROL STABILITY IN HEAVILY LOADED AIRCRAFT WITH FORE CG PLACEMENT ON INCREASED MOMENT OF INERTIAL TESTING OF THE AIRCRAFTS TAIL DOWN FORCES AND WE WILL BE USING THE PROTOTYPES OF MANY OF OUR FACTORY STANDARD AIRCRAFT TO TEST AS WE HAVE STATED THE WILDEST AERODYNAMIC CONCEPTS. JUST RELEASING A BUNCH OF FAST AIRCRAFT IS NOT OUR STYLE AS WE ARE IN THIS FOR THE LONG HAUL TO BUILD PROFESSIONALISM, ULTRA HIGH QUALITY, AND SOME OF THE BEST CONCEPT AIRCRAFT ON THE PLANET!!! There are literally hundreds of VA'S out there so O WATSON and MoTIS staff decided that there should be a next generation neo concept design group in the virtual world that is so real and has literally gone all the way by creating a total online infrastructure that itself becomes the very thing that the all aviations firms( i.e. AIRBUS , BOEING, CESSNA etc) design aircraft share, and that is the production of never before seen , and never before flown new aircraft on the planet!!! We don't design CESSNA and BOEINGS, as CESSNA and BOEING has already done that, but what we bring to the world is the best of "Our own designs!" WAIT UNTIL WE PAINT HER IN STANDARD DETAILED AIRLINE COLORS AS SHE WILL LOOK VERY AWESOME IN DEED! The G- 27 PROTOTYPE is under heavy development at X ROW in hangar 32 and we will be bringing you this aircraft very soon. The GIGANTOR is the MoTIS answer to an aircraft design that will not function in the super sonic design market but to meet the needs of an ultra coplex emerging mass passenger transport market. The GIGANTOR was rolled of of hangar 32 X at 6PM Est. tonight for the first time today and the aircraft has been given a standard MoTIS prototype test paint job. This in fact will be the standard MoTIS ECATA test colors for all of our neo concept airliner and cargo aircraft livery color. The aircraft has an empty weight over 350,500 lbs and is rumored to be as big as or bigger then the 747-100 series! The aircraft will be towed into position on runway 6 at the X ROW facility located near Laguna Del Rey Mexico. the GIGANTOR will be powered by four Pratt and W engines and the thrust rating will be released at a later date. O WATSON SR. design engineer ,neo concept creator, and primary builder of the GIGANTOR will be on scene tomorrow to over see this great project. If all goes well the second mega aircraft will be following the GIGANTOR in a few weeks!!! The test pilots will perform the preflight on the aircraft tonight and tomorrow will be the big day for the GIGANTOR to sink or swim! THE REAL TIME FLIGHT TESTS ON THE LORD TITAN ARE UNDER WAY SINCE 7:22AM Est REPORT TO BE ADDED BY THE HOUR! It has taken literally many years of designing, redesigning logistics planning and many, many hours of building the G27 in order for it all to come down to this faithful moment where a man /woman and their machine will take that trusted test to see if yet again another aircraft will make history and realize the dream of flight! Linda and Luke are finishing the total per flight on the GIGANTOR and as this aircraft is so huge in scope the average preflight will take a pilot well over 1 hr to complete. This aircraft is very big to say the least and the crew gets out the lead and prepares to finish all the ventral check and cross checks and heads up to the cockpit. For our first test flight today we will be starting the engines for the first time and taking out for the first time to the runway under her own power. 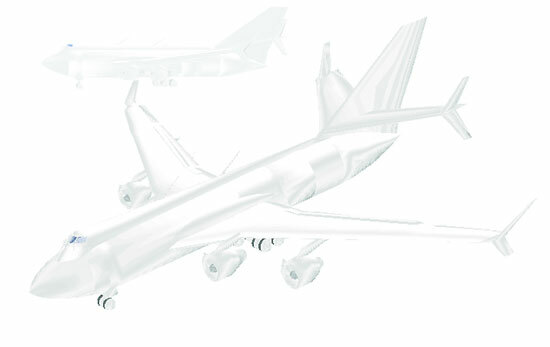 This aircraft required a host of custom ancillary items to make it function. The stair system constructed for this aircraft is huge also and will come as a standard for all pilots flying this truly great aircraft! After all the compliance check list are completed Linda and Luke climb up to the cockpit and get ready to make some history! The GIGANTOR taxis out of the west hangar area and towards runway 060 after the tower gives this big bird the go ahead to fly her into the history books! Because the pre flight was conducted so extensively a few days before this historic moment, the taxi into take off position went very smooth and very quick to say the least. The crew tested breaks, APU systems, and conducted point thrust tests out of each engine, and for the first tests this aircraft had an flight engineer aboard who started all engines and monitored there performance. The take off weight of the aircraft was far under gross and by standard terms the GIGANTOR was flight light for today's test flight!!! ACTUAL RECORDED TIME: START TIME 05/07/2004:07:21AM EST. Linda contacts the tower and is cleared for take off at 07:21am est. THE GIGANTOR MADE MoTIS HISTORY AT 7:22AM EST.BY BEING THE FIRST MoTIS NEO CONCEPT MEGA AIRCRAFT TO FLY INTO HISTORY AND SIGNALS THE FULFILLMENT OF A MORE THEN THREE YEAR DEVELOPMENT DREAM!!!! Several different take off views! It is standard practice on all first flights for neo concept aircraft real world and virtual to have a chase aircraft checking the test aircraft out for any problems that might be developing during the flight. the GIGANTOR has a final flight level of 37, 500 ft today and several tests will be conducted in today flight test bed. We will be testing for climb performance , calculating maneuvering speeds, conducting best rate and best angle of climb test, computing fuel to climb and range and endurance calculus using derivations and integrations to solve for climb verses fuel usages and much more as this is the official first day of testing this testing will go on for some times to get all the flying envelope of this great neo cargo concept airliner! After almost two hours into the first flight of LORD TITAN its time for Linda and Luke to get serious and start to see if the TITAN can handle unusual recovery attitudes and other stress based maneuvers. The overall handling on the MoTIS engineered flight dynamics data are good except there is a problem with the rudder and the excessive forces exerted on the tail when the auto pilot is engaged and we may in fact need to redesign the rudder in an attempt to correct this problem. The aircraft fly's sluggish in thin air and the control response is a bit slow but for an aircraft that has an empty weight over175 tons I would say that's to be expected to some extent!. The engines that we are using on this baby are 4 Pratt and Whitney PW 4000 engines generating a whooping 74, 000lbs to 98, 000lbs at take off ! !, and this in fact is the same engine used to power the Boeing 777 200/300 series of mega transport aircraft and this is just what the doctor ordered to propel this monster ( GIGANTOR ) at a forward speed of mach 0. 86 at service ceiling of 42,599ft and 0.80 fully loaded and at econo cruise altitude of 35,9000ft based on current test calculations. ACTUAL RECORDED TIME HEADED BACK TO BASE: 05/07/2004:10:04 AM EST. For this flight we have maintained a flight radius of 850nm and we are now headed back to X-Row for landing and this real time test report will be concluded with a few remarks from Linda Shelly chief test pilot on the GIGANTOR test project. ANOTHER GREAT NEO CONCEPT DESIGN FROM A NEO CONCEPT DEIGN PIONEER! ACTUAL RECORDED TIME OF LANDING: 05/07/2004:10:35 AM EST. 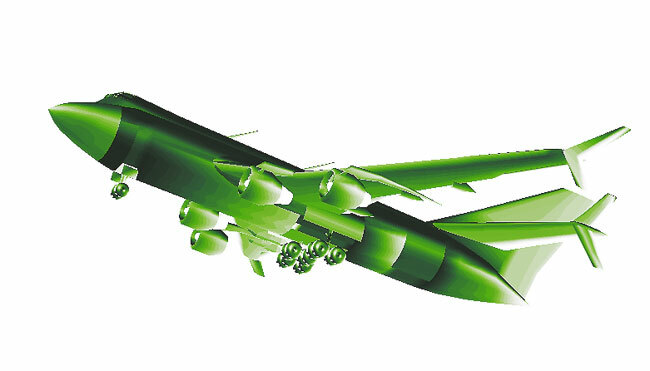 The first flight of a MoTIS mega aircraft went just great and design engineers at MoTIS have to have there hats taken off to for designing such a stylish, cool, and ultra real mega cargo transport airliner aircraft!!! The aircraft lands at a basic airspeed of around 138kts for our first touch down back at X ROW and this ends the first flight of the GIGANTOR prototype on 05/07/2004 at 10:35 AM Est. The aircraft will be taxied back to the takeoff runway and washed and anointed with a bottle of white wine to mark the historic date which has become a standard tradition. The test pilots will debrief all spoken chat transcripts to make them available for viewing by the public in general. the first flight is considered a great success and we will be conducting more testing and getting this great next generation neo concept aircraft ready for release in general!!! The MoTIS chase plane is taxied back into sub hangar 32 Y and the mission brief on the first flight of the MMC HLR 227 aka G27 , LORD TITAN but better known as GIGANTOR is closed. This aircraft is awesome to say the least and it is obvious that MoTIS engineers have put tremendous time and effort into design a great next generation neo concept aircraft! This aircraft is the sole intellectual property of O Watson and MoTIS VJD and we can prove it. This aircraft is not a recreation of any real world aircraft but the original work of a MoTIS engineer. The aircraft at this time needs some more work on the airfile , the rudder redesign, basic engine placement realignments, and a real high quality paint job. All in all MoTIS has brought to life one great neo concept aircraft that we hope will make great history transporting mega loads all over the world! NOTE: An actual in flight transcript will be released of what was stated between pilots engineers and MoTIS staff in a short time. GIGANTORS FIRST TEST FLIGHT OFFICIALLY ENDED AT 10:35 AM EST. THIS AIRCRAFT IS ONLY IN THE TEST PHASE AND SUBJECT TO REWORKING BASED ON TEST FLIGHT DATA AND REPAINTING!